Investigators examined functional connectivity between the amygdala and the mPFC, bilateral temporal lobe, striatum, thalamus, cingulate cortex, and cerebellum in children diagnosed with autism. Individuals diagnosed with autism spectrum disorder (ASD) present with brain abnormalities in functional connectivity of the amygdala, according to new findings of a study performed by investigators affiliated with the University of California—Davis, San Diego State University, and University of California—San Diego. The results were published in Journal of the American Academy of Child & Adolescent Psychiatry. Autism is a heritable neurodevelopmental disorder that affects approximately 1 in 100 children worldwide and is 4 times more prevalent in males than females. The anatomic and cellular complexity and diversity of the brain, as well as the dynamic nature of brain development, creates many challenges in the field of neurodevelopmental disorders such as autism. Presently, neuropsychiatry professionals do not have any available methods to rely on to treat the core social deficits observed in individuals diagnosed with autism. 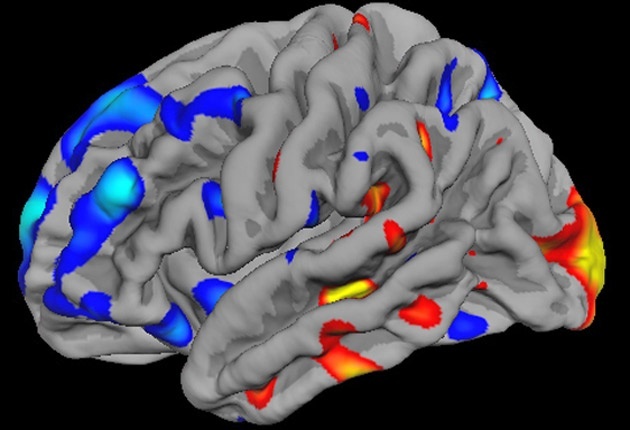 In the current study, investigators used resting-state functional connectivity magnetic resonance imaging (rs-fcMRI) of the amygdala during natural nocturnal sleep in 72 boys (mean age 3.5 years; n=43 diagnosed with ASD). “The amygdala has been widely implicated in the neuropathology of ASD…. but little is known about amygdala function in very young [preschool-age] children with ASD,” they wrote in their publication. 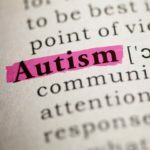 With regard to the study participant cognitive abilities, which were based on standard scores derived from the Mullen Scales of Early Learning and the Differential Ability Scales, children diagnosed with ASD presented with significant impairments in overall cognitive ability [70.6 (SD=18.4) vs. 103.2 (SD=12.0)], verbal ability [69.1 (SD=19.6) vs. 102.3 (SD=9.7)], and non-verbal ability [72.1 (SD=19.2) vs. 104.1 (SD=16.6)], compared with those of typically-developing children. With respect to the rs-fcMRI results (ie, functional connectivity maps with the amygdala), researchers performed direct between-group comparison (ie, participants diagnosed with ASD vs. typically-developing, age-matched controls), the children in the ASD group presented with significantly weaker connectivity between the amygdala and numerous brain regions that were previously implicated in social communication and language deficits, as well as repetitive behaviors. More specifically, children diagnosed with ASD had weaker connectivity between the amygdala and the medial prefrontal cortex (mPFC), bilateral temporal lobe, striatum, thalamus, cingulate cortex, and cerebellum. Additionally, the observed weaker functional connectivity between the amygdala and other brain regions was associated with increased ADOS (Autism Diagnostic Observation Schedule-Generic) severity scores in the group of individuals diagnosed with ASD. Investigators used overall cognitive ability as a control measure, and the results indicate that “weaker connectivity between the amygdala and frontal and temporal lobes had a specific relation to the severity of autism symptoms, above and beyond levels of overall cognitive functioning,” they noted. Study authors also controlled for overall brain volume and age, and findings indicate that amygdala volume was not correlated with connectivity between the amygdala and any of the clusters that were included in the present analysis. Autism and Epilepsy Comorbidity: Shared Etiology? Shen MD, Li DD, Keown CL, et al. Functional connectivity of the amygdala is disrupted in preschool-aged children with autism spectrum disorder. J Am Acad Child Adolesc Psychiatry. 2016;55(9):817-824.